Pieced Brain: Layer Cake Winner! As I type this post, my Layer Cake Pop yellow beauty is right in front of me. This quilt has already provided so many happy hours to me since I made it! 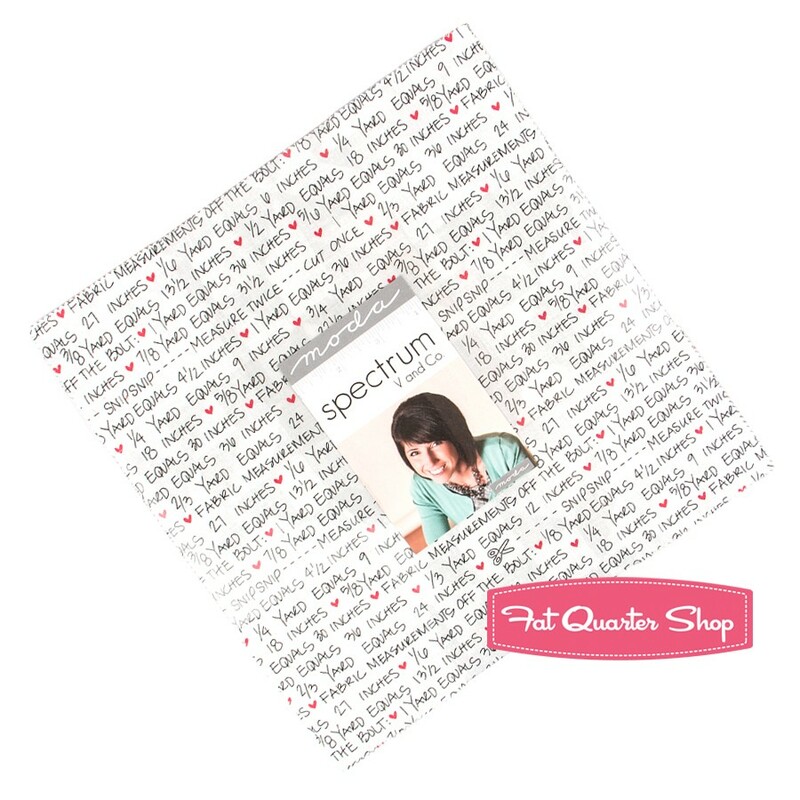 Fat Quarter Shop has kits ready using V and Co Spectrum fabrics, or you can download the free pattern and make it with other fabrics. I usually go with a neutral background or one of the minor colors in the fabrics. I love the yellow you used. Time to branch out I think! Congratulations, Susan! I will be sending you an email shortly! I have loved reading all your comments about how you choose background for your quilts. Like many of you, I look first in my stash and usually for neutral colors. This method usually works very well. 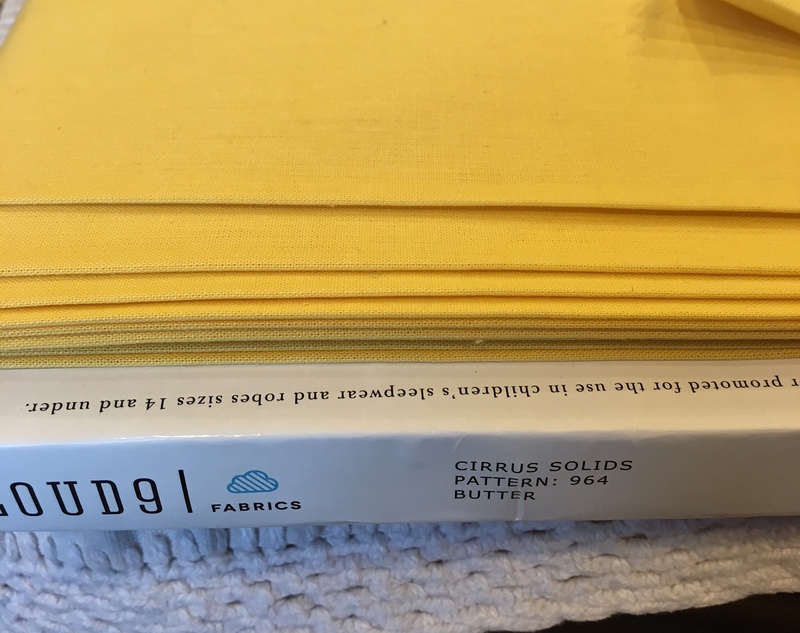 However, when choosing the Kaffe Fassett prints for the blocks, the color yellow kept coming back to my mind. 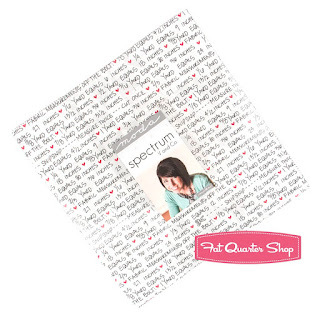 This is the fabric by Cloud 9 I used: it was THE perfect backdrop for the prints and I had it in my studio. What a no brainer! I still have some yards left in my Etsy store. Stay tuned as this week I have some more cool stuff to show you. Thanks for visiting this blog and participating in the giveaway. I wish you all a colorful and fun day! 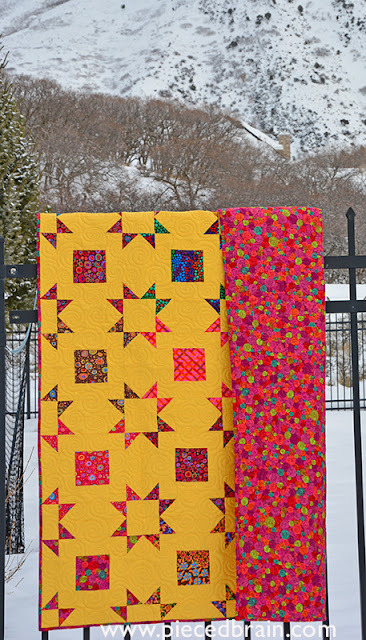 I love your version of this quilt! The yellow background is perfect!